Last Tuesday most of us bought a poppy to remember those that fell in the First World War and the wars that have happened since, we took part in the two minutes silence at 11am all for Armistice Day or as it is better known as, Remembrance Day. 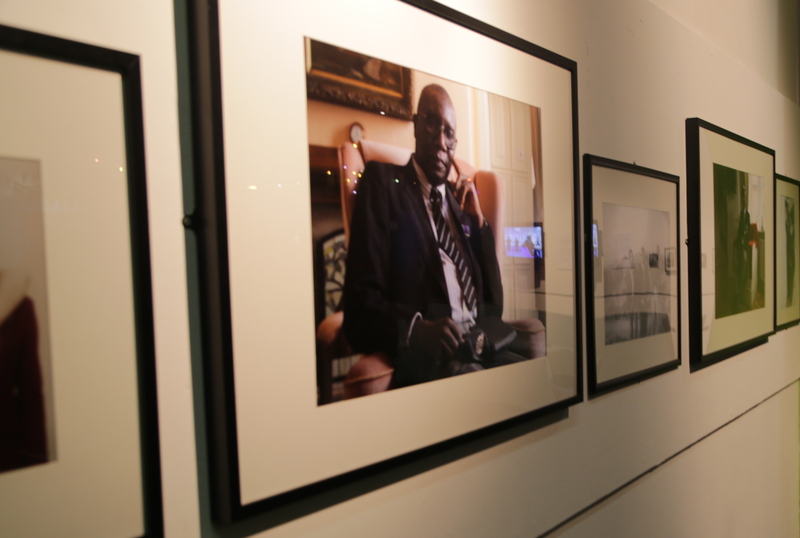 But last Tuesday, myself and many others gathered at The Drum for the opening night of the ‘West Indies to West Midlands’ exhibition presented by local photographer Inès Elsa Dalal, partnered with the Why Are West Indians Project (WAWI). The exhibition was an eye-opening, educative and humbling experience portrayed though visual art. We were welcomed with spiced bun, patties (demolished before I could even get one), Red Stripe and Stone’s Ginger Wine, absolute treats for a warm reception if you know what these mean to the West Indian culture. After I had got myself the last drop of ginger wine I went on a journey, exploring the of young men from the 1950’s to the fascinating portraits of West Indian men that have served in the military, dressed in their attire and pride. The portraits translated (to me) a story of nobility, strength and honour, but I hadn’t seen anything like these before, maybe because they’ve been forgotten, or hidden from history. Then something happened, we were introduced to a procession of military regiment standards by the WAWI project which was an amazing experience if you have never seen a march of standards before. However there was something that made this procession beautiful and different to any other you will see, the Standards used in the march were by veteran servicemen were that of the different West Indian Regiments that served in the British Army. These Standards are a replica of the originals that have been hidden for over a hundred years and the WAWI project made it possible for such an educating yet beguiling experience to be displayed. But it begs the question… Why are the West Indians hidden from the British history of war and as a result forgotten about? As a child of West Indian ancestors I couldn’t help but feel a sense of overwhelming pride to the whole exhibition, but as a young person born and raised in England I was intrigued and interested, wanting to know more of the story and questioning why the story of these soldiers has never been told until now. I want to congratulate Inès on capturing the essence, the pride and the history of these soldiers and am eager to find out more of the story. It’s time to remember these forgotten heroes. Documentary photographer Inès Elsa Dalal specialises in conducting social commentary projects involving heritage, community, sanctuary and social rituals. Her previous work includes ethnographic studies which range from locations as hyperlocal as Harborne and Balsall Heath, Birmingham, to as far-reaching as Jerusalem, Abu Dhabi and Dubai. Next Next post: Why I am terrified of 2015! Sleep over at Nanny and Grandad’s. Can’t believe this lil grub is almost three!